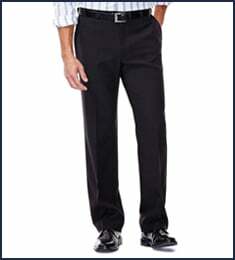 Premium Comfort Dress Pant is rated 4.5 out of 5 by 96. Rated 5 out of 5 by Kaye from My husband was really happy with my choice! Thank you for making it so easy!! He said I could shop for him any time. Can't wait to see what he says about the shirt I just bought him. 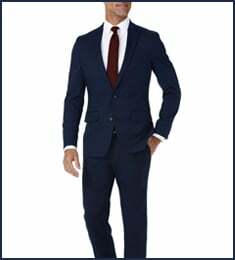 Rated 5 out of 5 by Luis P from Very Comfortable Pants I am an airline pilot and I needed a pair of pants that would be lighter than the wool blend pants I use for my uniform. 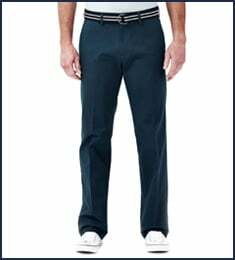 I ordered these Haggar dress slacks and I am extremely pleased. They are super comfortable and look great. I highly recommend these pants! Rated 4 out of 5 by Jack Willson from They fit well and the quality was good. They only cost me $20 bucks more than similar ones did when I was teenager and Considering they came from Bangladesh, that's a travesty. But my other options probably involved Red China and Jeff Bezos so I feel pleased to have stumbled across them on the net. They're great for the office so I'll most likely order another pair soon. Rated 5 out of 5 by barber mike from great fit great fitting pants, they stretch where you need them to stretch. Rated 5 out of 5 by AlanW from Very pleased with the fit and feel. Very pleased with the fit and feel. Especially like the flexible waist. Rated 5 out of 5 by Big D from Professional Looking Dress Slacks I have enjoyed Haggar for many years now. My previous slack of choice was the Cool 18, my closet is full of them. My new dress slack of choice is the Premium Comfort Dress Slack. 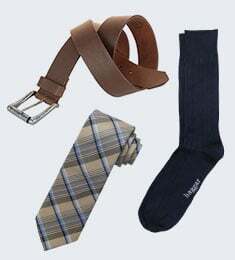 The slacks are comfortable and professional looking.